Terror Firma Media: Major News!!! Last week I mentioned I would be dropping some major news but unfortunately due to a family emergency I was offline for a few days. So today is the day people. 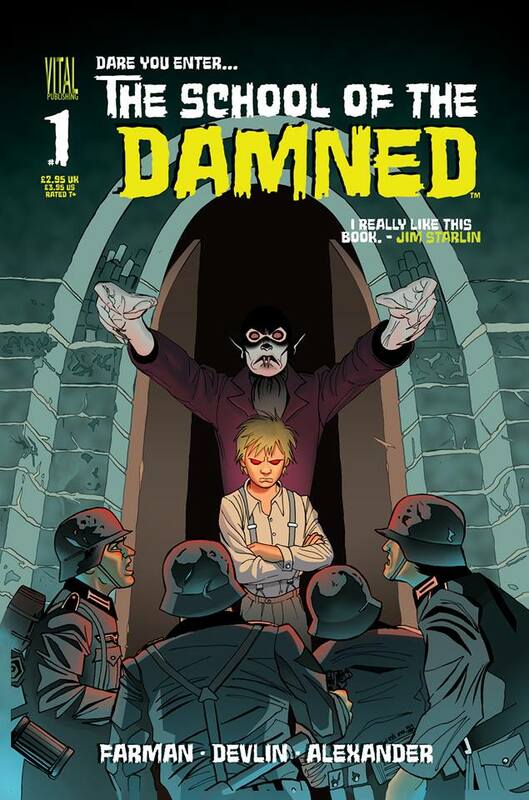 Terror Firma is proud to announce we will be partnering up with Vital Publishing to bring you the incredible horror series School Of The Damned to the Terror Firma website in serialized form. 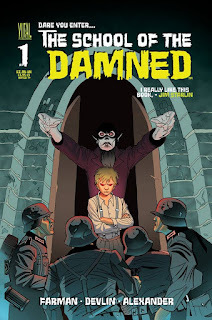 Written by the immensely talented Scottish comicbook writer John Farman and drawn by the amazing duo of James Devlin and Dave Alexander School of The Damned is a firm favourite of Terror Firma Editor-in-Chief Drew Carson and now each week you will all be able to see why. 1936. Eastern Europe and the evil tyranny of the Third Reich is on the rise. A secluded school is all that stands between them and the ultimate power to change the world forever. With a cast that includes twisted versions of the greatest monsters in literature and celluloid history... Dare you enter... The School Of The Damned! The fun begins in January so make sure to bookmark this site, join the Facebook Group and follow us on Twitter for all the gory details.